TXM have provided articles for industry magazines for years, with our content regularly appearing in Australian Manufacturing Technology, Manufacturers Monthly and a number of other trade journals. It was a bit special though to get two of our articles accepted by major US manufacturing industry on-line magazines, Industry Week and the Target, the magazine of the Association for Manufacturing Excellence in the last month. Both articles focus on lean supply chain topics, which will be the focus of TXM Director, Tim McLean’s workshop at the AME Conference in Boston next month and an increasing concern of TXM customers. Over the past 15 years there has been a massive wave of outsourcing making supply chains longer and more complex. The implications and costs of these outsourcing decisions is only recently being realised by many businesses. The result is often high levels of inventory and poor on time and in full delivery. 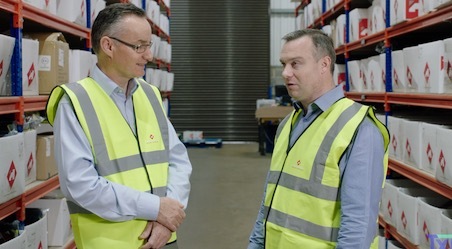 In our first Industry Week article, Tim McLean provides an overview of the key factors that prevent your business achieving on time in full delivery and how you can use Lean approaches to change these factors. This article focuses on the benefits of a good sales and operations planning process to balance supply and demand along with effective product management to keep your product range under control. 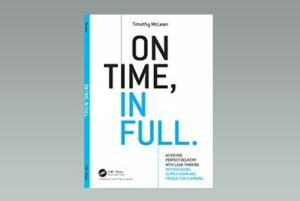 The Target article zeroes in supply chain software and why it is not the solution to poor on time in full delivery performance. The article discusses what is really driving your delivery problems and suggests where you need to focus to improve on time in full delivery. It also provides some simple suggestions about the best way to use your ERP software and other supply chain software tools.